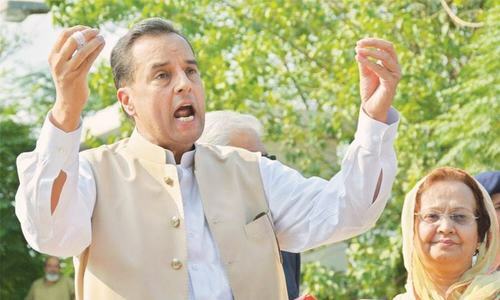 ISLAMABAD: Pakistan Muslim League – Nawaz (PML-N) leader Captain (r) Safdar has on Friday demanded action from WAPDA Chairman against Pakistan Tehreek-e-Insaf (PTI) former Secretary General Jahangir Khan Tareen over his stone cutting project near Mansehra. Talking to media outside the Accountability court in Islamabad, Safdar alleged that Jahangir Tareen had been extracting Granite stone from his area and was paying no taxes on it. He requested WAPDA chairman to take notice of the project in Darband area as the cutting of the stone there could cause minimize Tarbela Dam’s life. Safdar said that his party did not believe in deals because if it did, its leaders would still be in their offices.